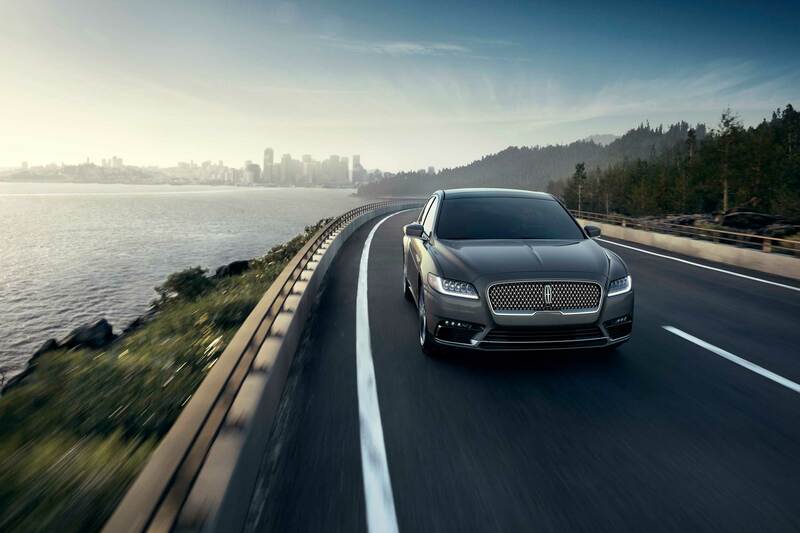 When it comes to luxury vehicles, America has an attitude all its own. We are internationally renowned for our bold sedans and gargantuan SUVs, our love of straight-line speed and plush ride quality. America is huge, after all. It literally takes days to cross it, even at blistering freeway speeds. Every American with a driver’s license has seriously considered the coast-to-coast road trip, and many have actually done it. Our luxury cars often seem to carry a bit of the open road and endless highway romance in their souls. These are some of our favorite American luxury vehicles. 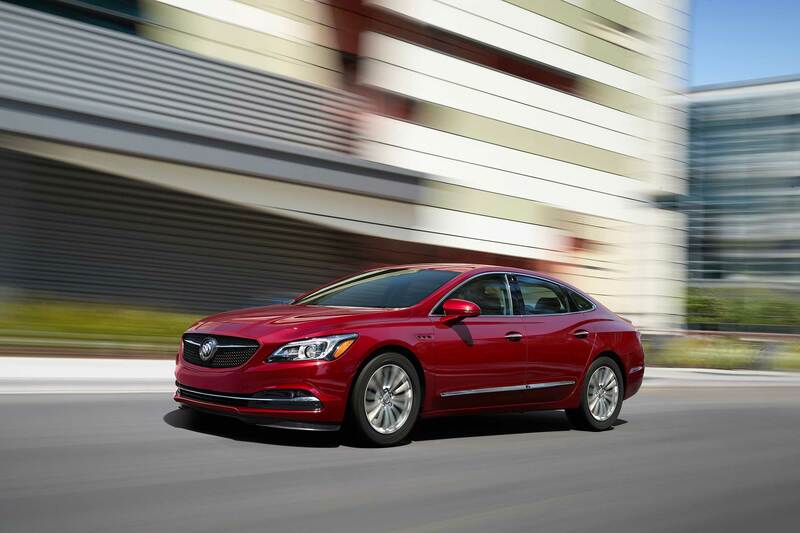 The handsome 2019 Buick LaCrosse blends premium amenities and advanced technology at a value price. The base powertrain is a 2.5-liter four-cylinder mild hybrid. The system uses the electric torque of a small motor to provide a boost of power when needed, such as during takeoff. Energy is recaptured during coasting and braking, and stored in a lithium-ion battery pack. There’s also a stop/start function for even greater efficiency. The LaCrosse has an active front grille that closes at higher speeds, reducing drag and improving fuel consumption. With all components working together, The LaCrosse 2.5 returns an impressive 29 mpg in the combined cycle. Drivers wanting a bit more power can choose the healthy 310 horsepower V6, offered in midrange and upper models, and which can be paired with all-wheel drive. Even base models have dual-zone automatic climate control and modern connectivity from the 8-inch infotainment system. There’s 4G LTE and with available Wi-Fi hotspotting, Apple CarPlay, and Android Auto. Upper trim levels can choose the deluxe Bose 11-speaker sound system for an immersive audio experience. Top tiers are equipped with a panoramic moonroof, head-up display, navigation, heated and ventilated leather front seats with a lumbar massage function, and a heated steering wheel. Cadillac’s sporting CTS offers a wealth of luxury amenities wrapped in a daring package. This is a balanced car that loves to be driven hard, and has some serious chops in top V-Sport spec. The base model comes with a howling 2.0-liter under the hood, good for an impressive 268 horsepower. Stepping up the next rung on the trim ladder unlocks the option of a 335-horsepower six-cylinder. V-Sport models ($61,195) strap a pair of turbos onto the V6 for a fire-breathing total of 420 horsepower. The “-V” at the end of CTS adds more than just muscle, however. There’s active suspension for improved handling, a limited-slip differential for better grip, sharper steering, paddle shifters, and low profile summer-only tires mounted on lightweight wheels. There are three standard trims and two V-Sport models to choose from, and even the base model comes with decent kit, like a standard 11-speaker Bose audio system, Apple CarPlay, Android Auto, Wi-Fi hotspotting, and wireless charging. The cabin air is filtered and seats are powered 14 ways. Heated and ventilated leather seats quickly appear as buyers explore the upper trim levels, as does ambient lighting creates a proper mood, a13-speaker Bose surround system, navigation, and a sunroof. Top models come with three-zone climate control heated rear seats, wood or carbon fibre accents, illuminating door handles, and a head up display. There are few American rides more elegant than the Lincoln Continental. Conceived from the ground up as a luxury cruiser, this spacious sedan brings drivers and passengers back to an age when travel was an occasion. Did we say spacious? At nearly 17 feet long, the Connie is only about two inches shorter than the full-sized Cadillac Escalade SUV. While it might be silly so compare a sedan to an SUV, let’s do it anyway. The Continental has 44.4 inches of legroom (max) in the front seat compared to the Escalade’s 42.8. Rear seat Lincoln passengers get 41.3 inches compared to the Cadillac’s second row 38.7. Yes, the Escalade is of course bigger in other ways, but it does illustrate just how roomy the Continental really is. Base power comes in the form of a 3.0-liter V6 with 305-horsepower and 280 lb-ft of torque. Stepping up to the Select grade ($51,620) unlocks the option of an efficient and powerful 2.7-liter twin-turbo V6 with 335 horsepower and 380 lb-ft. Then there’s the 3.0-liter twin-turbo V6, which boosts horsepower to 400 and torque to 400 lb-ft, and is paired with torque vectoring all-wheel drive for added cornering prowess. Whatever engine buyers choose, the Continental remains a car which puts elegance above all else. The interior is one of the best, with real wood and real metal inlays, buttery available leather with brilliant stitching, and excellent sound damping with active noise control. In upper trim levels, digital assistance systems even reduce the strain of driving. There’s adaptive cruise control, a surround-view camera, pre-collision assist with pedestrian detection, adaptive headlights, and a head up display. 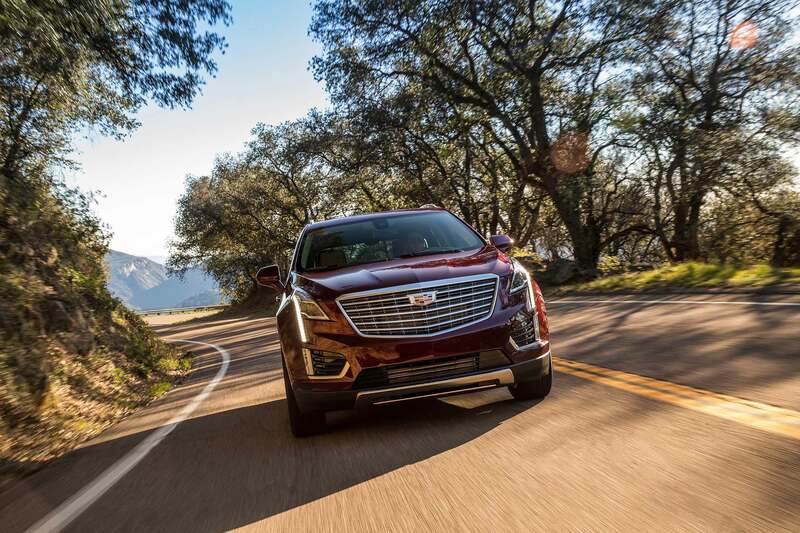 Cadillac’s two-row XT5 crossover features the same 310-horsepower V6 under the hood that first appeared in the sporting ATS and CTS sedans. Variable valve timing aids in smooth power delivery, while the Active Fuel Management system increases fuel economy by deactivating two cylinders when not needed. Stop/start technology reduces emissions at the stoplight. Build quality is evident in the airy interior; the refinement of things usually unnoticed like seams and stitching stands out. Touch surfaces feel opulent. Leather, suede, and wood add to the feeling of elegance, making the XT5 feel like a Cadillac of old. Up front, the driver and passenger have climate-controlled seats in upper trim levels. The second row has a convenient 40/20/40 split for ease of hauling larger objects. In both rows, there’s ample storage for phones and tablets. Base models are treated to eight-speaker Bose sound, controlled by an eight-inch touchscreen. Apple CarPlay, Android Auto, Sirius XM, wireless charging, and Wi-Fi hotspotting are all standard, as are two USB ports front and rear. Moving up the trim ladder quickly adds a panoramic sunroof, standard leather, 14-speaker Bose surround sound, three-zone climate control, navigation, and advanced safety features like a bird’s eye view camera, blind spot alert, and lane change assist. 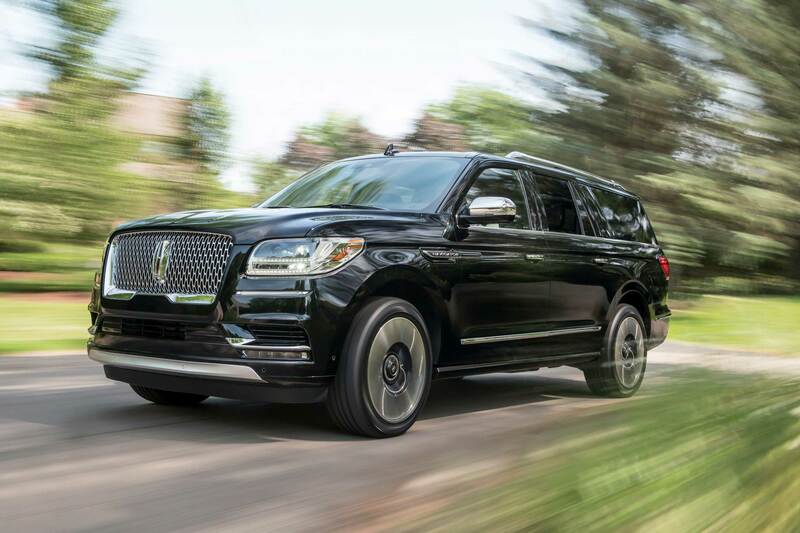 The latest Lincoln Navigator is flying off the shelves. With its aristocratic styling and 450 horsepower twin-turbo V6, it’s easy to understand why. Even starting at the lowest price point, the Navigator is loaded with desirable amenities: 14-speaker Revel premium audio with Apple CarPlay and Android Auto, a 10-inch touchscreen, standard Wi-Fi that can connect up to 10 devices at a time, a 110-volt power outlet, three-zone climate control, 10-way adjustable heated front seats, and heated captain’s chairs in the second row. Climbing the trim ladder unlocks the available 30-way adjustable seats. Yes, 30. Twenty-speaker sound becomes an option. There’s streaming television, memory controls on seemingly everything, active safety, active park assist . . . There’s even a CD player just in case 1990 needs a ride someplace. Step up to the Navigator Black Label ($92,405). It’s not so much a trim level as a private club, with benefits like dinners, travel deals, concierge service, anytime car washes, and once-a-year detailing for members. Like all good clubs, this one has stately interior design. There are three Black Label-only themes to choose from. Chalet pairs white leather and silverwood for an apres ski feeling. Yacht Club matches blue leather and whitewashed teak for a Nantucket vibe. Destination evokes exotic travel with red leather and mahogany. Having no ties to the past and no traditions to uphold, Tesla charted its own path and upended the industry. 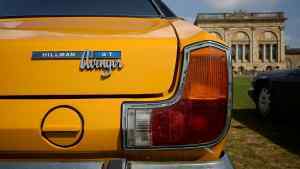 Almost as an aside, it redefined the American luxury car. 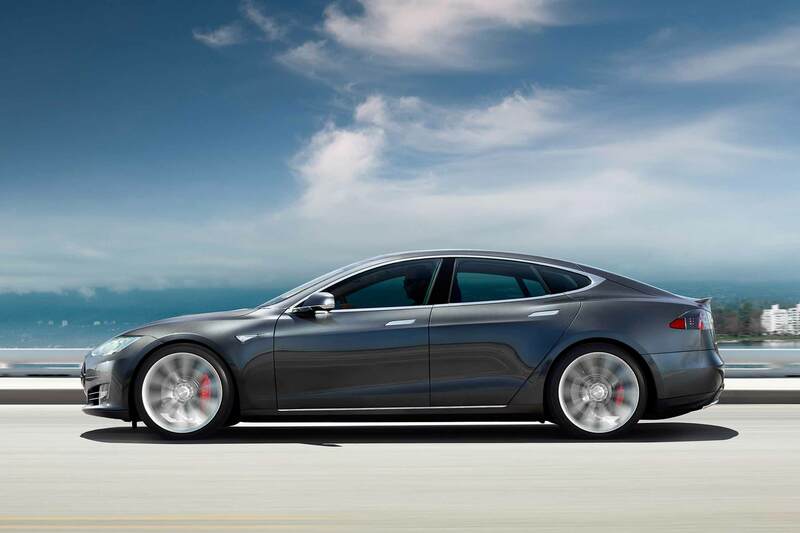 The Model S ticks all the right boxes. It’s wild-looking while still being restrained. It’s blindingly fast. It showcases the most modern tech. It’s incredibly exclusive; not only is it expensive, it’s only truly practical with its own infrastructure in place, and that is possible only in a few of the richest countries on earth. The base 75D has a zero-60 time of 4.9 seconds, a top speed of 140 mph. and will travel 259 miles on a single charge. Not bad for $74,500. Unsurprisingly, it’s completely connected for over-the-air updates, but also streaming media and navigation. The first box on the options list is the Premium Upgrades Package ($5,000). It adds 11-speaker sound, heated seats for all, a heated steering wheel, and medical grade HEPA filtration. The Enhanced Autopilot feature ($5,000) adds additional sensors, cameras, and a faster central processor to increase the ability of the system, allowing the Model S to stay in its lane, match traffic speeds, change freeways, exit freeways, self-park near a spot, and go to and from its garage on its own. Stepping up to the 100D ($94,500) adds a bigger battery, more speed and range (335 miles). Then of course there’s the famous P100D ($135,000), with its zero-60 time of 2.5 seconds and top speed of 155. It does include the Premium package, though. Regardless of the price rather than because of it, the Model S is one of the most coveted cars on the market today. 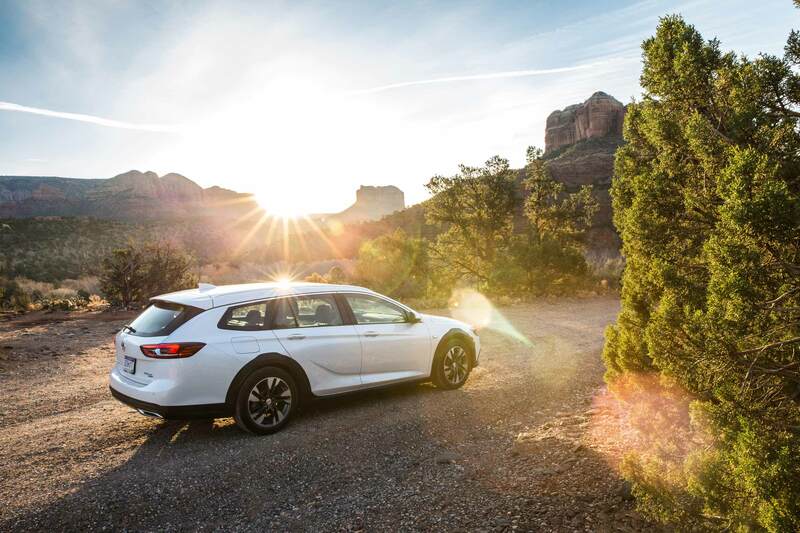 It’s about time America had a cool-looking rugged wagon, and the Buick Regal TourX is built to go places. Its five-seat body has raised ground clearance compared to the sedan version, standard all-wheel drive, and the outdoorsy body cladding demanded by the segment. There’s plenty of room for gear inside, 73.7 cubic feet behind the front seats, and available roof racks will handle any overages. Power comes from a turbocharged 2.0-liter under the hood, with 250 horsepower and 295 lb-ft of torque. An eight-speed transmission makes the most of the power, and still returns an EPA-estimated 21 mpg city, 29 highway. In the cabin, there’s plenty of room for five adults, legs and all. The standard Buick hush-hush cabin is apparent, almost in contrast with the exterior. Apple CarPlay and Android Auto are standard on all trim levels, and GM’s Wi-Fi hotspotting is there, too. Upper trim levels can choose Bose premium audio, complete with active noise cancellation and a subwoofer in the spare tire well. Active pedestrian safety is also standard, a first for Buick. Active between 16 and 30 mph, sensors up front alert the system if a pedestrian impact is imminent. A pyrotechnic actuator then fires and raises the back of the hood about four inches, reducing the impact force and potentially reducing injury. The Regal TourX is manufactured in Germany. 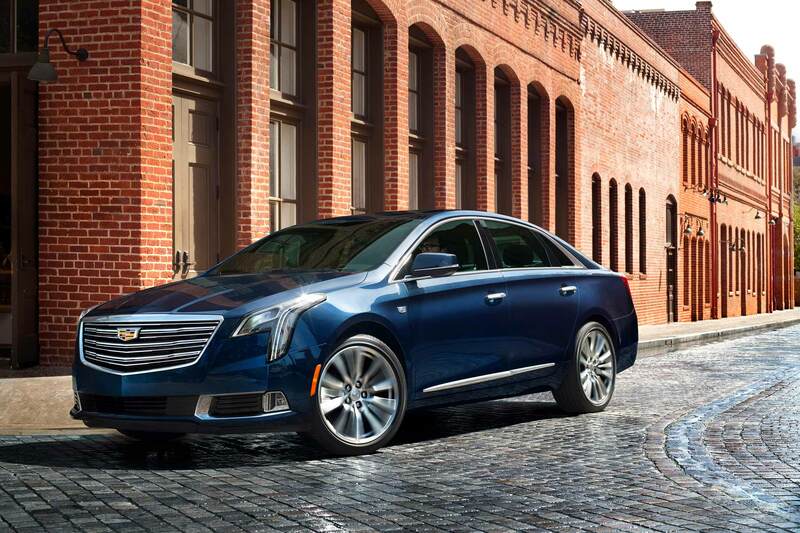 Cadillac’s big XTS is a stylish executive cruiser, built to eat up the miles in plush comfort. The recently updated chassis now rides on standard 19-inch wheels, and has been tuned for improved ride quality and reduced outside noise, even when rolling on the available 20-inch wheels. Additional use of engineered sound insulators isolate the cabin even more. It’s hard to decide which is the best seat in the house: the cushy redesigned driver’s seat or the capacious rear row. Both offer top quality materials, plenty of legroom, and a serene ride. It seems almost a waste not to have a chauffeur. Buyers who prefer a more active role can opt for the adrenaline-infused V-Sport Platinum ($73,990). A 3.6-liter twin turbo up front delivers 410 horsepower and 369 lb-ft of torque, and sends it to all four wheels. Front suspension is designed to reduce torque steer and increase front axle grip, while an H-arm-linked rear ensures planted stability. 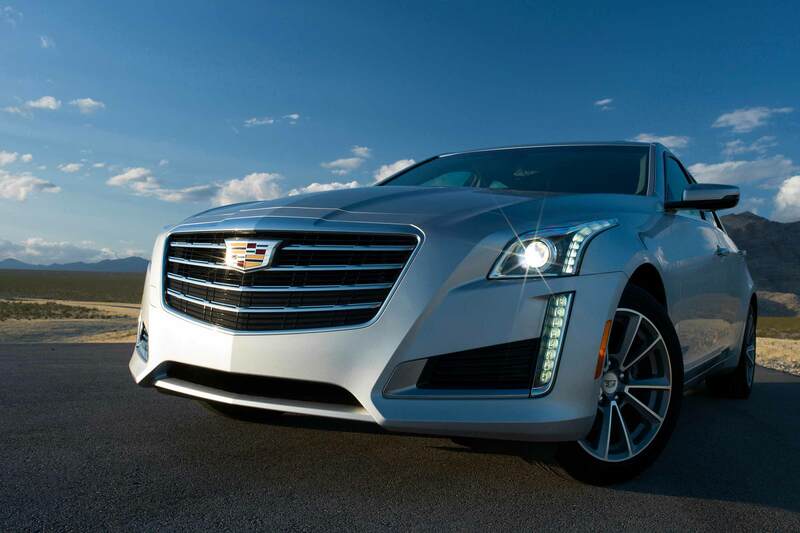 Electromagnetic ride control works with automatic levelling to reduce body roll for increased handling prowess, while still retaining Cadillac comfort. As an added bonus, the XTS-V comes with every last option on the order sheet as standard: active safety, driver’s assists, premium 14-speaker Bose audio, Apple CarPlay, Android Auto, heated and ventilated seats, a sunroof, power everything, and all the other goodies that make a traditional Cadillac a Cadillac. 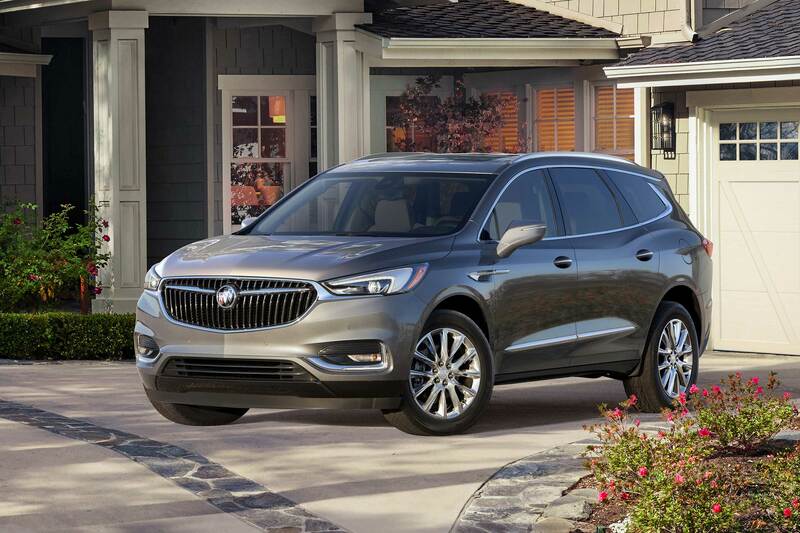 The Buick Enclave is all-new for 2018. With a longer wheelbase than the previous model and thoughtful suspension upgrades, the seven-seat SUV rides better than ever. 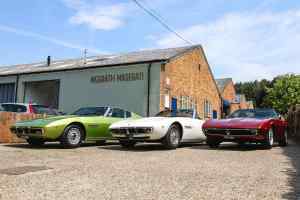 There are now MacPherson struts up front and a five-link setup in the rear, adding lateral stability and steering sharpness. Handling has been improved, but not at the expense of noise, vibration, or harshness—unwanted road feedback is kept out of the cabin. Front-wheel drive is standard on the Enclave, but we like the optional intelligent all-wheel drive ($2,000) available on all but the base model. The system uses multiple sensors to continually monitor the road, and instantly activates a twin-clutch rear differential if any decrease in traction is noted. All models have a powerful V6 under the hood, with 310 horsepower and 266 lb-ft of torque. There is quite a bit of desirable standard kit in all models: three-zone automatic climate control, heated front seats, remote start, active noise cancellation, a hands-free power liftgate, six USB ports, an eight-inch infotainment system, Wi-Fi hotspotting, Apple CarPlay, and Android Auto. 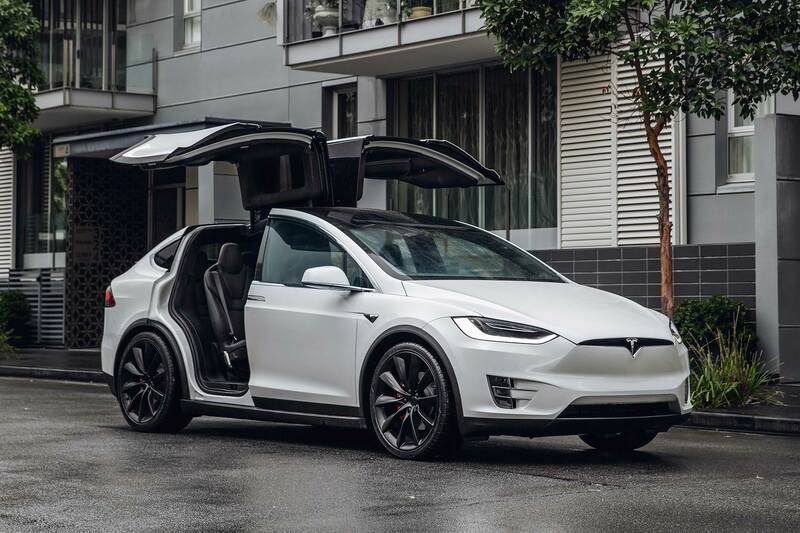 Like its Model S sibling, the Tesla Model X is just plain cool. Cooler, actually; just look at the doors. The inside of the Model X in an exercise in minimalist utopianism. Every surface is spotless, and the main interface is the sweeping expanse of the 17-inch central touchscreen. The floor is completely flat, which oddly takes a moment to get used to. The base 75D will rocket from zero-60 in 4.9 seconds and has a top speed of 130. Did we mention it has room for up to seven passengers? Yes, seven very wide-eyed passengers. The 75 has a range of 237 miles. Stepping up to a 295-mile range requires the 100D model ($96,000), which has a slight boost in acceleration and a top speed of 155. In both models, seating for five is standard, two in the first row and three in the second. 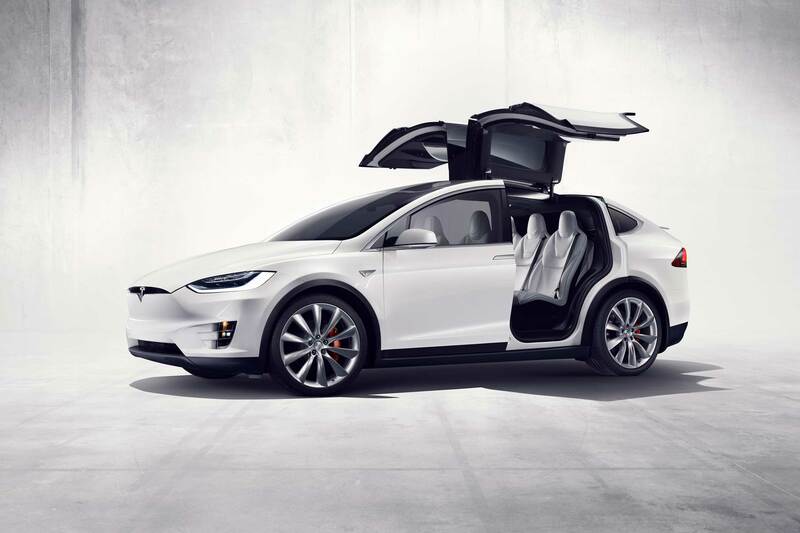 Adding a sixth seat is a $6,000 upgrade and reconfigures the Model X to three rows of two seats, providing the most room for passengers. Going from five to seven seats only costs $3,000; only a two seat bench is added in the rear. Like the S, the X has a Premium Upgrades package available, this one for $6,000 and including a self-presenting driver’s door. Premium audio and heated seats are included. Like the S, Enhanced Autopilot and full self-driving capability are offered, $5,000 and $3,000, respectively. Like the S, the X comes in P100D guise ($134,000), reducing the zero-60 jump to just 2.9 seconds. The Premium upgrades package is included with this model. And just look at the doors!